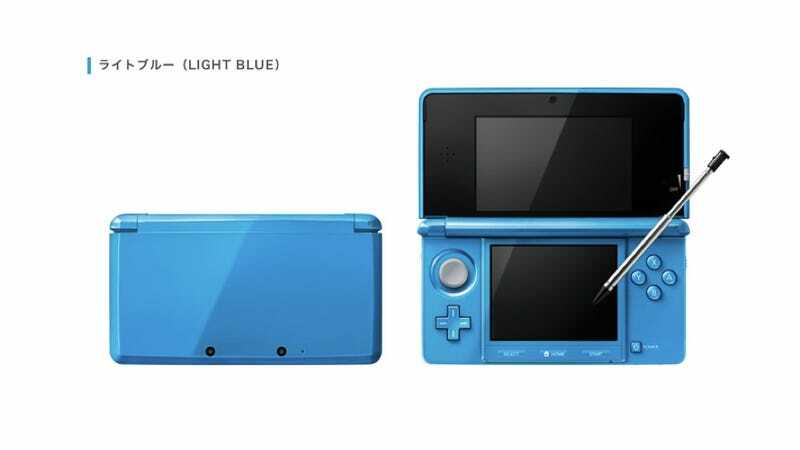 On March 20, Japan is getting two new 3DS colors: Light Blue and Gloss Pink. They are priced at ¥15,000 (US$163) and come with 4GB SDHC memory cards, instead of the standard 2GB ones. Note that the new memory cards don't make these handhelds cost more.